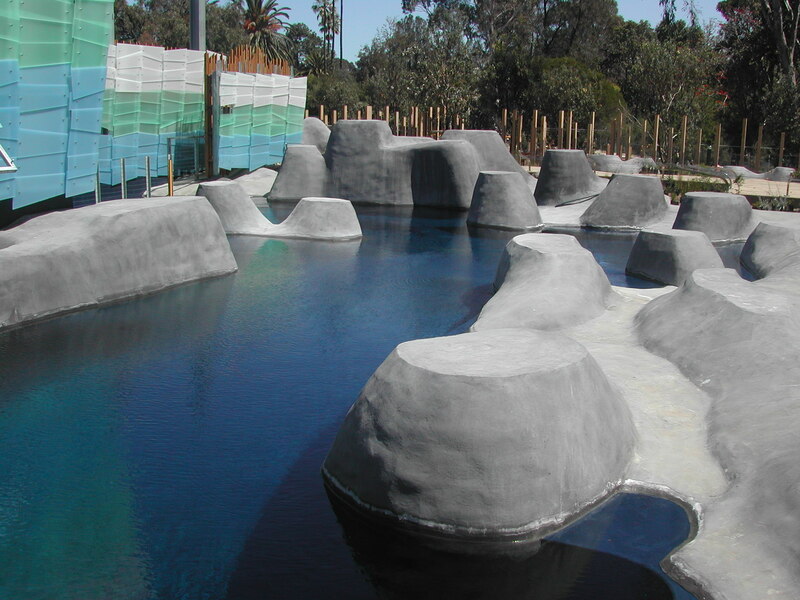 Wild Sea is the Seal Pool at the Melbourne Zoo. 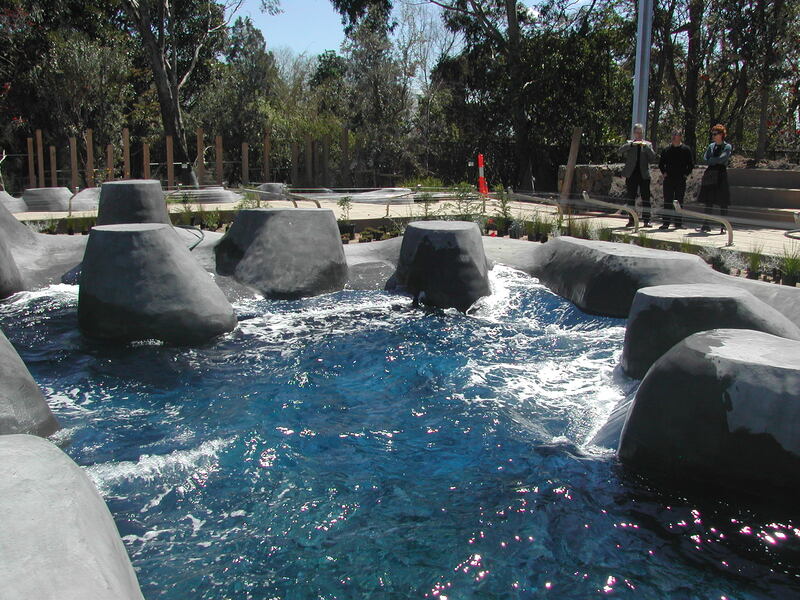 I was commissioned to create the ‘above water’ landscape for the seal pool. 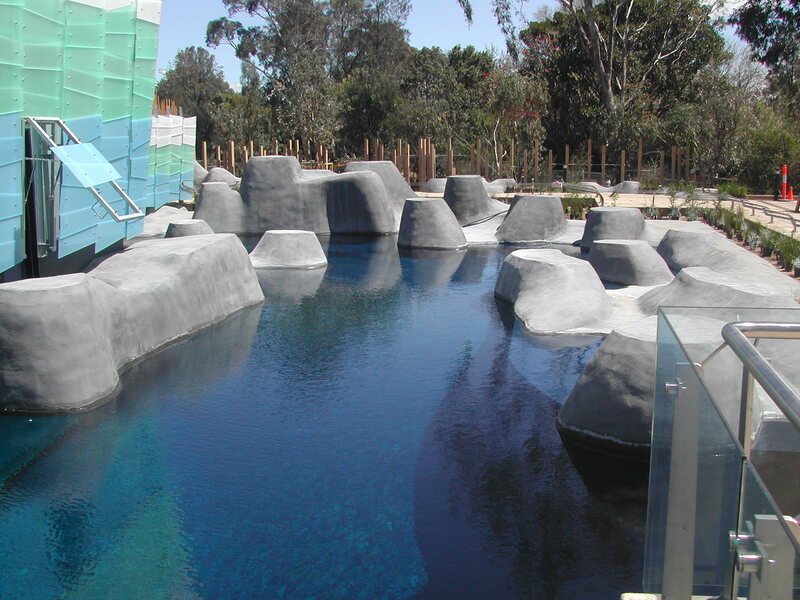 I have developed a series of forms that are clearly ‘built’ and not attempting to recreate any specific habitat or environment. 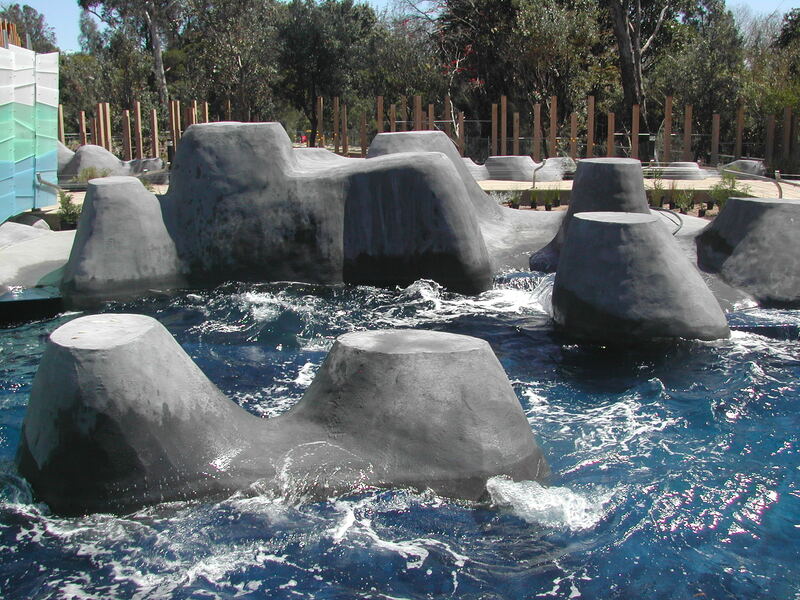 The wave machine greatly effects the ‘mood’ of the pool, from tranquil, quiet, to angry sea. When its rough it strongly reminds me of the days of surfing at The Wedge at Whale Beach where we would time the leap into the water between the surge of the swell. 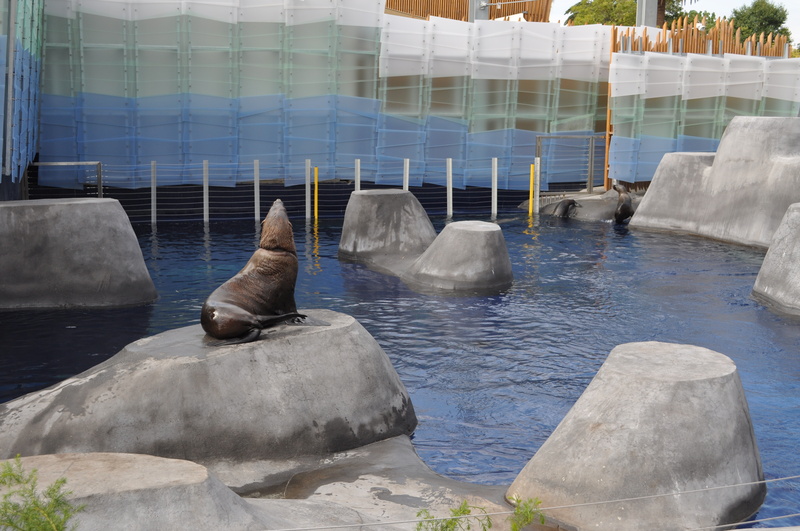 The seals are not always out so it was important to me that the installation still be engaging and strong in its form and spatial composition.